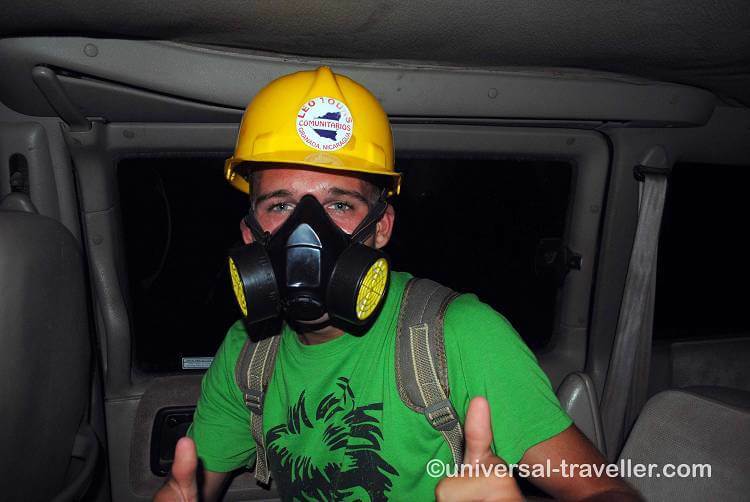 Night Tour To The Masaya Volcano in Nicaragua Near Leon. 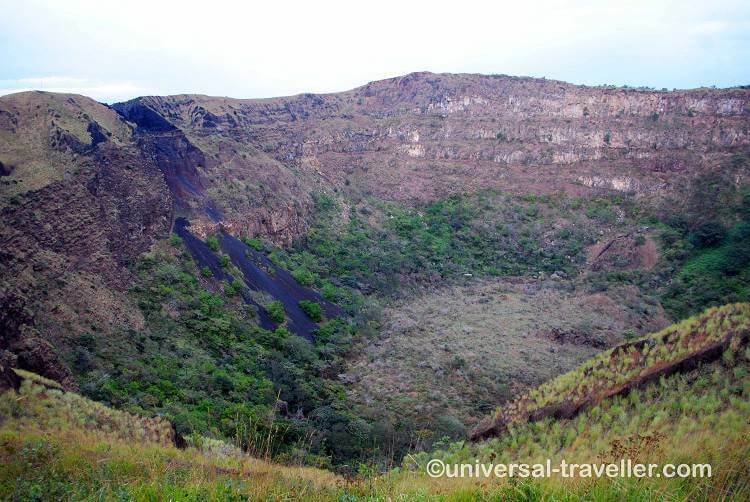 In Granada, Nicaragua you can book organised tours to the Masaya Volcano. Normally I am not a big fan of organised tours and prefer doing the trips by my own. 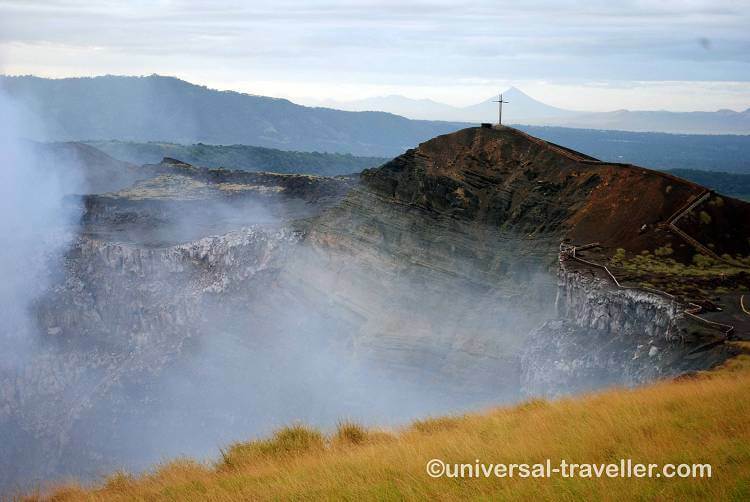 In this case however I recommend you booking a Night Tour to the Masaya Volcano. It costs $40 and starts at 4pm. You will be back in Granada by 8pm. 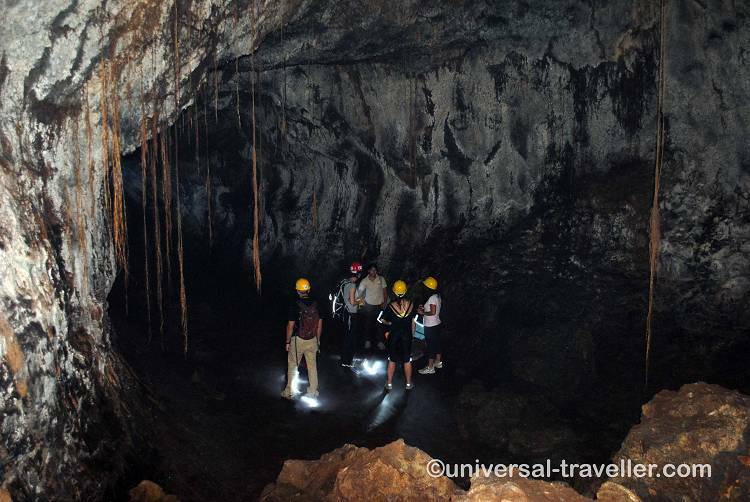 During the tour you stop near the cross La Cruz de Bobadilla from where you have an amazing view over the volcano, watch bats coming out of a cave, visit a underground lava tunnel and end at a viewpoint where you can see red, glowing lava when you are lucky. At 4 pm we start our tour in Granada. In my group there is one guy from Morocco, one from New York and two girls from Switzerland. During the drive to the National Park we talk about our travels and exchange information about Must-See places. One of the girls will go to Cuba after Central America. How cool! It is one of the top places I want to go. The Moroccan guy is from Rabat, the capital city of Morocco. He visited already many places in the world. He really enjoys his life. I like this attitude. We should not live to work, but work to live. We should do things we really like to do. We only have this one life. Arrived at the entrance of the national park our guide buys the tickets for us and we first drive to the cross near the crater (La Cruz de Bobadilla). From here we have an amazing view over the volcano. 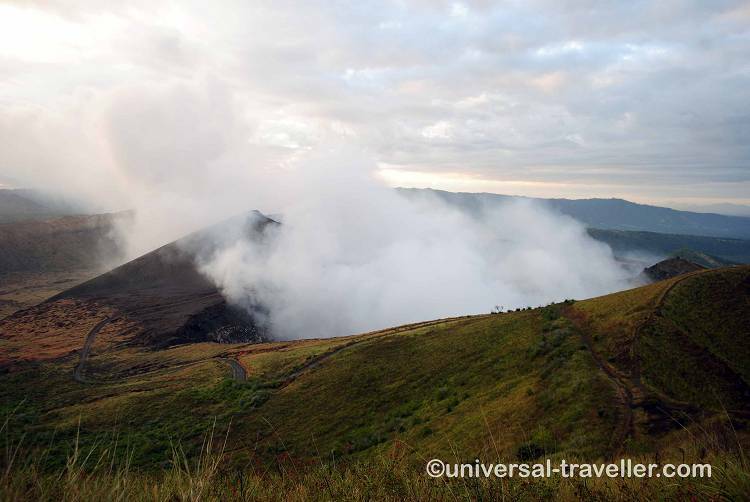 It continuously emits smoke and sulfur gases. 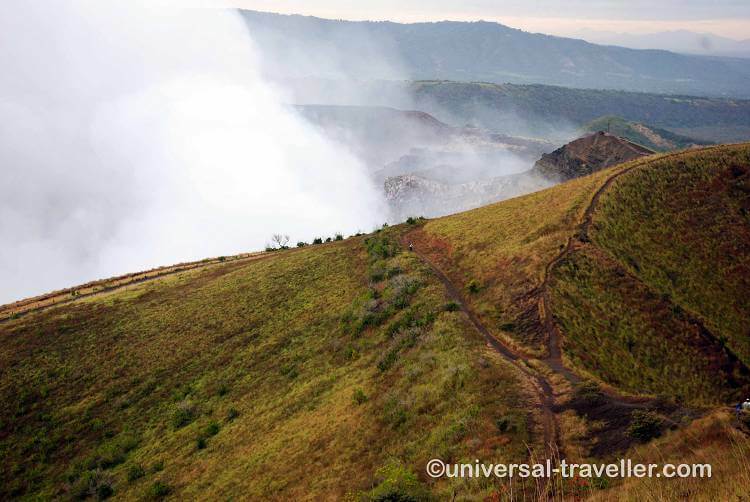 The Masaya Volcano National Park has a size of 54 km² and includes two volcanos and five craters. The volcanoes erupted several times in the past and were feared by the people living around it. The Spanish conquerors gave him the name “La Boca del Infierno¨, “The Mouth of Hell”. 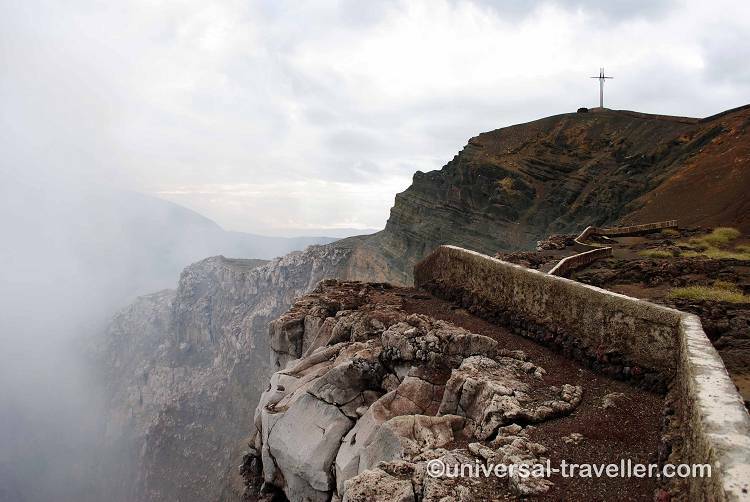 They built the cross in the 16th century to exorcise the devil. 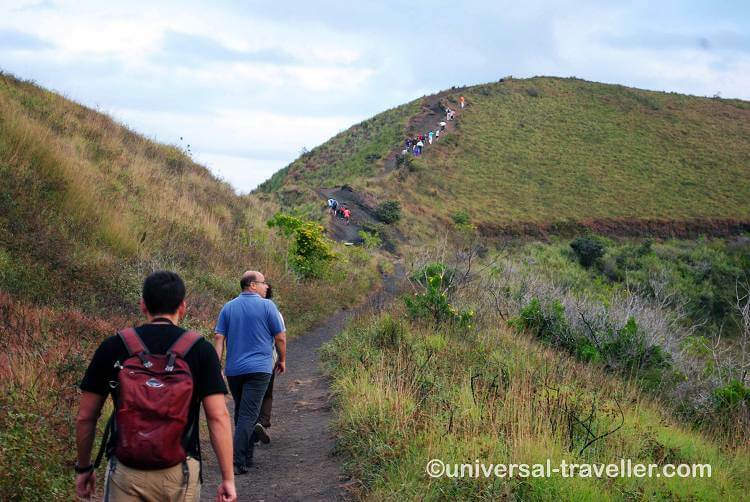 From the Masaya Volcano we continue our way uphill to the other craters. There are several trails between 1.4 and 5.9 kilometers. From the top you have an impressive view on the smoking volcano and the fascinating landscape. 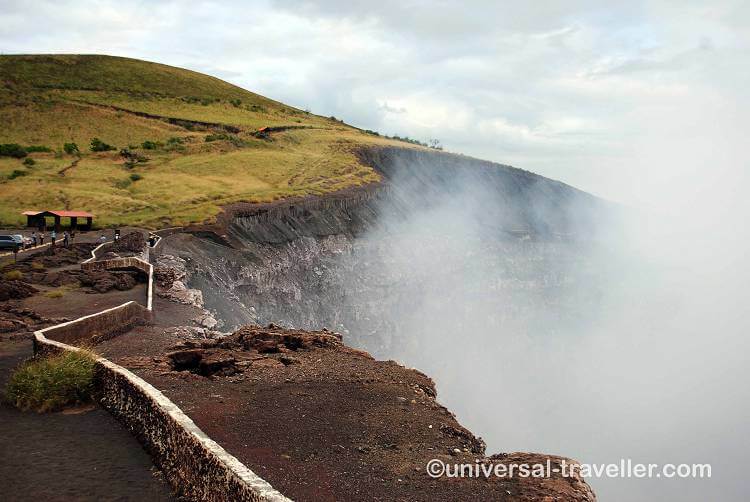 The whole surrounding is marked by the volcano with rocks and covered by volcanic ashes. 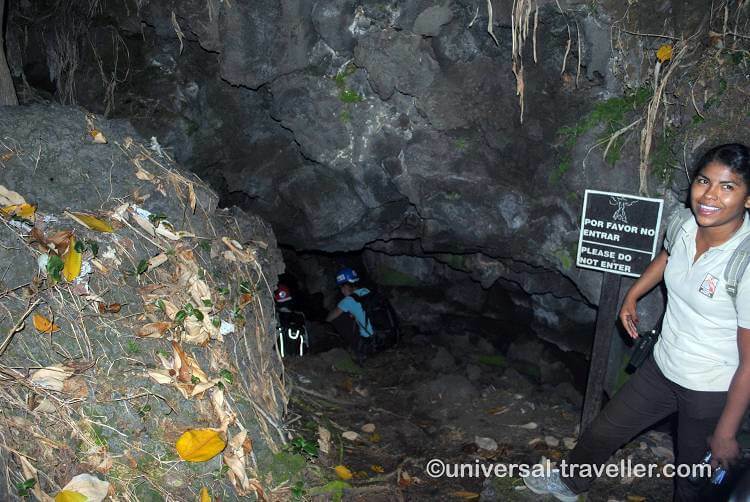 Our next stop is at the Tzinaconostoc Cave where we watch hundreds of bats coming out of the cave. We turn off our flashlights and are surrounded by bats. It is an indescribable feeling. So close to the nature. 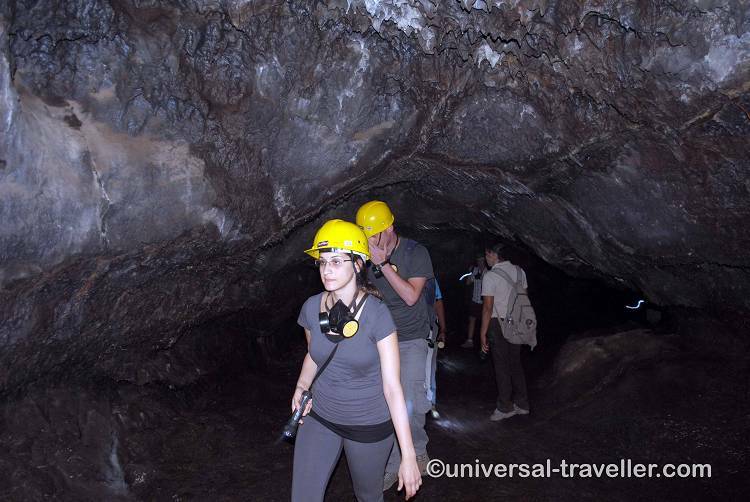 We continue our way to the underground tunnels that have been formed by lava streams. Equipped with helmet and flashlight we explore the interesting rock formations. 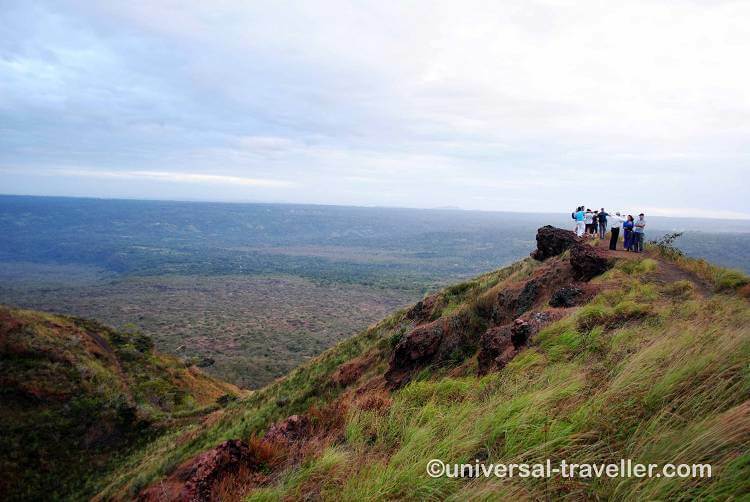 The tour ends at a viewpoint where it is possible to look inside the crater mouth of the volcano. The opening was formed in 2006 and at night it is possible to see red glowing lava. Well, you have to be really lucky. Also without seeing lava I highly recommend doing a night tour to this amazing place. You will feel like on another planet. 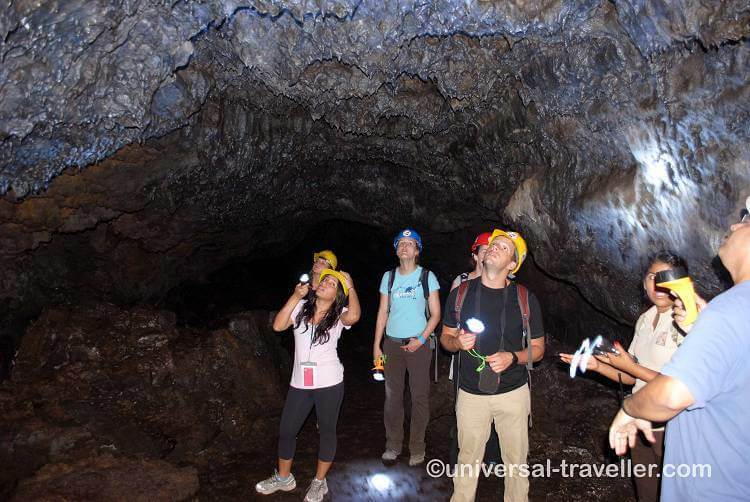 Which tour company did you book the Masaya volcano night tour with??? I’m finding it difficult to determine which one is best.